Home / Publications / What is Biodiesel Fuel? Biodiesel fuel is a less harmful to the environment substitute for conventional fuel that is made from 100 percent replaceable staple. It is destined to become the fuel of the new era. It is widely known as Biofuel. Biodiesel does not contain any fractions of processed crude oil, but conventional fuel can be blended to make biodiesel mix (eg. B20, B50) that can be used in different machineries. However, unmixed biodiesel fuel (ie. B100), cannot be used in gasoline powered engines. Biodiesel is ecological and innoxious, making it less dangerous than the widely used cooking salt. Biodiesel is not like plant oil and other recently invented fuels. Biodiesel can be used in diesel engines without any changes to biodiesel itself or engine design. 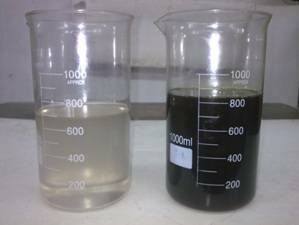 Plant oil fuels need to be adjusted and limited to use only in gasoline powered engines. Considering all this facts, biodiesel is the simplest newly developed fuel to use. It is regarded by many as the best alternative for use in agriculture in agricultural machineries. Process of biodiesel production assumes separation of glycerin from plant oil or animal fat, and knows as transesterification. Process of biodiesel production assumes separation of glycerin from plant oil or animal fat, and knows as transesterification. In the course of this process glycerin and methyl esters are extracted from plant oil and animal fat. Pure biodiesel does not contain sulfur and phenyl compounds, which are usual components of conventional fuels. Most of other newly developed fuels cannot be distributed legally for use in motor vehicles, because they do not adhere to Environmental Protection Agency (EPA) standards. Unlike them, owning to its distinguished properties, which let biodiesel to successfully complete health impact assessments, biodiesel has been approved by (EPA) for wide use across the country. Which means biodiesel satisfies the requirements of the 1990 Clean Air Act Amendments. One of the greatest advantages of biodiesel, that unlike conventional fuels, it has low impact on human health and nature. Biodiesel is only one of a few fuels that can be truly called environmentally safe. Level of pollution caused by use of biodiesel is considerably lower than of conventional fuels. Subsequent replacement of petroleum diesels with biodiesel will benefit to struggle with the global warming and will save the environment. Biodiesel also stimulates different sectors of domestic economy. USA petroleum fuel producing industry hugely depends on crude oil exported from Middle East, Africa and other oil reach regions. It makes it vulnerable to any political instability in these countries. Staple for biodiesel can be produced in the United States. And money reinvested into the home economy. Biodiesel is newly developed fuel that is swiftly becoming more accessible to wider part of the population. It can be found across the United States in number of locations or purchased straight from suppliers. The price of biodiesel at present is higher than conventional fuel price, because biodiesel fuel market is still underdeveloped. It is predicted that in near future population will appreciate advantages of biofuel and as a result demand will increase and the cost will lower. At this particular time, however, the easiest way to get hold of biodiesel is to make it yourself at home.